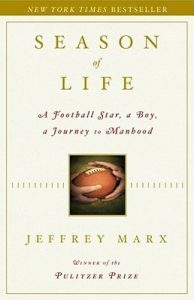 A coach has one of the most unique positions in leadership to raise up the next generation in character, work ethic, leadership, dedication, confidence…and the list goes on and on. Their leadership contribution is immense and their influence, large. They have great opportunity to change the heartbeat and future of their surrounding communities with their time and energy investment. Their potential for impact cannot be overstated. Coaches give so much away that it only seems right to pour more back into them! That’s why the Coaches Leadership Network was formed: To pour leadership into coaches who pour into kids! 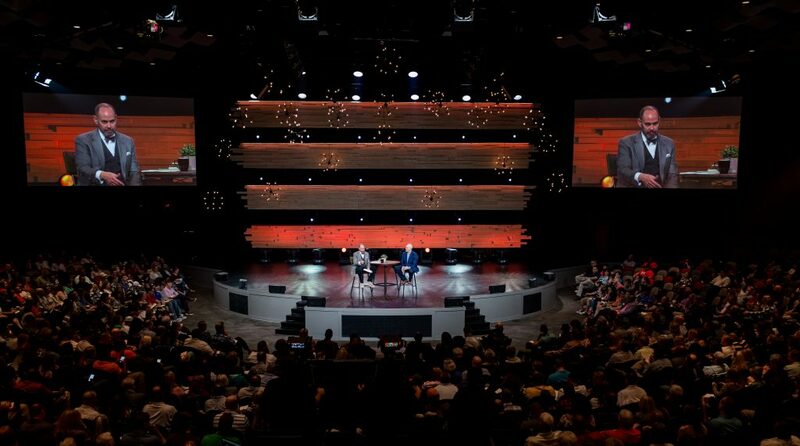 The network was officially launched with the first annual Coaches Leadership Network event on February 24th, 2018, hosted by 12Stone® Church in Lawrenceville, GA. Almost 2,000 coaches and spouses with over 350 kids were in attendance for this free event! With 21 different sports represented across 350 different sports organizations in the greater Atlanta area, the launch was a big success! 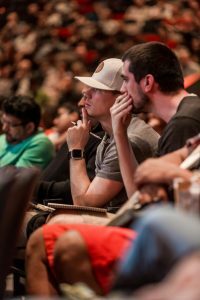 Hosted by TNT Sportscaster, Ernie Johnson Jr., the coaches were inspired and challenged by Atlanta Falcons Head Coach, Dan Quinn and global leadership guru, John C. Maxwell. Whether you weren’t able to make it or were able to attend and wished you had taken more notes, enjoy some of the practices, insights, and principles shared below from EJ’s live interview with Coach Quinn. EJ: What’s a coach’s number one job? Coach Quinn: To teach. A coach’s number one job is teaching.I always wanted to be a teacher and in college I had the opportunity to coach and realized that coaching is teaching. A close second is the ability to set the culture for an organization and team. I take that one very seriously. EJ: How do you set the culture of a program or team? Coach Quinn: (1) Culture is what you create and people will follow that lead. For me, it’s about walking into every game and practice with the right mindset and positive attitude. As the coach, we are the leading mindset and attitude in everything we do. A part of having such positive attitude is the belief that we can answer any problem. (2) You also need to be present in each moment with your team. Teaching and being present in the moment allows a coach to find joy. You never know, that one interaction might be the most important of that day for that player to turn their game around. (3) Remember that how you react to winning, loosing, bad calls made in a game, and working with assistant coaches is all being watched by your players. These moments can help or hurt in setting your culture. (4) Create a written team’s ethos with your players and allow players to hold each other accountable to help bring out the best in one another.It’s important for players to have a role in creating this. This explains what each players responsibility is to each other. Teammate to teammate is where real accountability comes in. (5) Answer the question, “Could you be coached by you?” If the answer is no, then the next question should be, “Why not?” If the answer is yes, then you are being true to your own values of who you want to be as a coach and the standard you are setting as the leader. EJ: How do you relate to players with various backgrounds? Coach Quinn: Give each player the respect and love that they deserve by taking each of them as far as you can as their coach. Learn and get to know each of your players well, care about them, and push them to get better. Be authentic, treat each of them equally (don’t play favorites) and address them according to their talents. EJ: What about getting along with parents? Coach Quinn: Have conversations in advance and don’t get wishy washy on your own philosophy. A coach has to have honest and tough conversations with parents so that the program can be built on honesty and character. 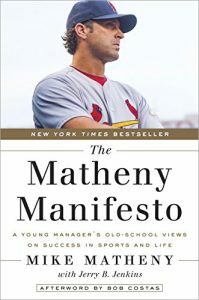 EJ (in response) encouraged the coaches to read the Matheny Manifesto (link below) and added an excerpt from the book on parenting athletes. EJ: How do you leave the game on the field and not take work home? Coach Quinn: I don’t bring concerns of the team home with me. If I am present with the team as their coach, then I am also present at home as a spouse. My wife and I talk about the team, but I am fully present with her when I am home. Being the spouse of a coach is a different life and has some challenges. You have dinners and other times where you’re not there so it’s important when you are there to be fully present. EJ: What does the 8-year old soccer coach have in common with the head coach of the Atlanta Falcons? Coach Quinn: A lot more than you would think. I think we both have, not just a love for the sport, but more importantly, a love for the people we are coaching. One of the best gifts you can give that 8-year old is to show them that it is going to take a lot of grit and it’s not always going to come easy. You don’t have to give them that trophy, yet. Keep working, keeping having them find their own answers and that will pay big dividends for their future. You can work really hard and have a great time doing it!